NYC, 02/15/2019, 7:00PM. Sea of Mirrors: Korean Poetry in Translation. 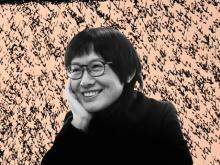 An evening of Korean poetry in translation with Kim Hyesoon, a groundbreaking feminist poet and one of the most influential contemporary poets of South Korea. Her latest poetry collection, The Autobiography of Death, is a breathtaking collective elegy inspired by the Sewol Ferry Disaster of April 2014, and a narration performed as a "sea of mirrors," summoning Korea's ghosts and roaming spirits. She’ll be in conversation with Korean-American poet Don Mee Choi, her English translator, and Jeffrey Yang, poet and Poetry Editor at New Directions. Together they’ll discuss translation, the "expelled tongues" of Korean women poets who invent new language outside of Korean literary conventions, and the book's relationship to Korean Shamanism. Don’t miss this rare chance to see one of Korea’s most important living poets and imaginative writers in conversation with her translator and editor.